Omega Watches and the 2032 Olympic Games: Perhaps in New York City? With the Winter Olympics from Korea just over, it’s time to start planning for the next Olympics. You know, the ones that will occur in 2020 or 2022. But, Omega Watches is planning really far out – like really far out, the 2032 Olympic Games. Perhaps New York City will be host to the 2032 Olympics (Winter or Summer), as who knows what the climate will be like in 2032? The last New York Olympics, of course, was the 1980 games at Lake Placid Upstate. But let’s turn back to Omega Watches (among our favorite watches here at Ron Gordon Watch Repair). Omega is releasing, now, the “Omega Seamaster Olympic Games Collection” which is five watches with bands that match the official Olympic colors. 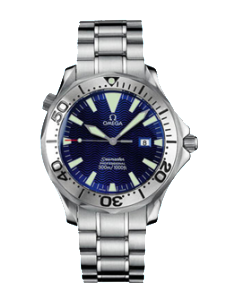 (Omega has a long history at the Olympic, and you can read about that here). Here is a summary of this incredible announcement from Omega. The five watches will be each limited to 2,032 pieces, a reference to the year 2032, in which Omega will mark 100 years as Official Olympic Timekeeper, and they reflect the five colors of the legendary rings of the Olympic Games; straps and dial highlights are available in black, yellow, green, blue and red. The clean, simple black dials are inspired by hand-held Omega stopwatches used in previous Olympics, notably those used for the 1976 games in Montreal and Innsbruck. The watches’ domed, black dials contrast with the large, white Arabic numerals to offer a very legible layout, enhanced by a surrounding minute circle in white and a pulsometer scale in the watch’s highlight color that can be used in concert with the 20-second timing intervals to measure the wearer’s pulse. The casebacks of the Seamaster Olympic Games watches feature anodized aluminum rings emblazoned with the names of all the known host cities and dates from Omega’s tenure as Olympic Timekeeper, from the 1932 Los Angeles games to the upcoming 2028 Los Angeles games. Inside this color-coordinated ring is a sapphire viewing window showing off the movement, Omega’s automatic, co-axial Master Chronometer Caliber 8800. The watches all have 39.5-mm steel cases, with the watch’s limited edition number engraved on the side, and come mounted on micro-perforated, wrist-aerating leather straps. They will retail for $5,400. That’s pretty exciting! We love the Omega brand and bring our passion to Omega Watch repair and the upkeep of Omega watches for the many happy customers who come to us here in New York City. You may not be an Olympian, but you can share in the Olympic spirit by owning and Omega and admiring the brand’s commitment to the Olympics for some eighty years at this point. We’re hoping the 2032 Olympic Games come to New York City and the savvy “watch investors” who nab one of these watches can show them off at that time.